Gemma graduated with Honours from the University of Western Australia in 2003. 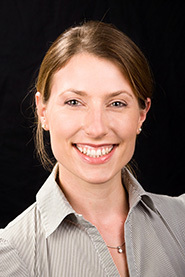 After completing a Graduate Diploma in Surgical Anatomy at UWA in 2005, she relocated to Queensland and commenced her radiology training in 2006. She commenced a musculoskeletal MRI fellowship with Perth Radiological Clinic in 2010 and completed her training in 2012, obtaining fellowship with the Royal Australian and New Zealand College of Radiologists that same year. She has recently returned to Perth Radiological Clinic as a consultant radiologist following maternity leave.